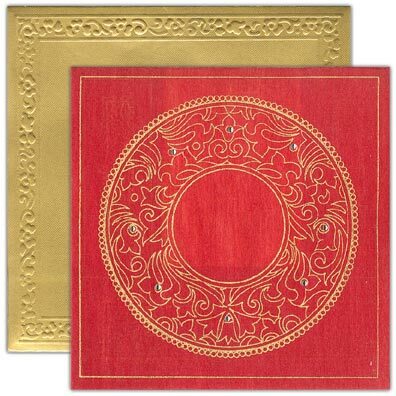 Wooly paper, folding style card (100gsm), 2 inserts and envelope (200gsm each). 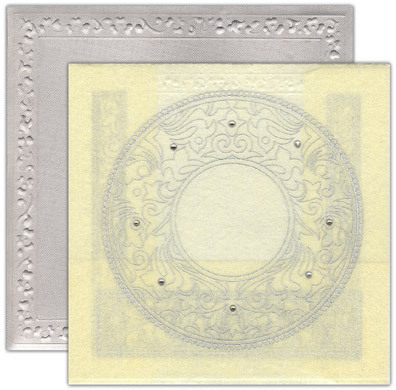 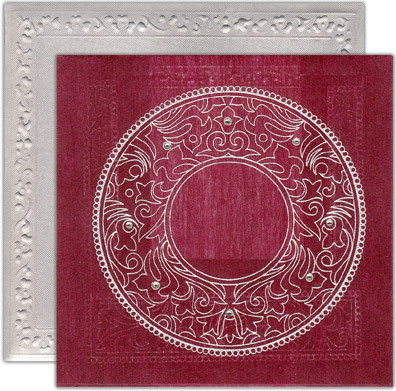 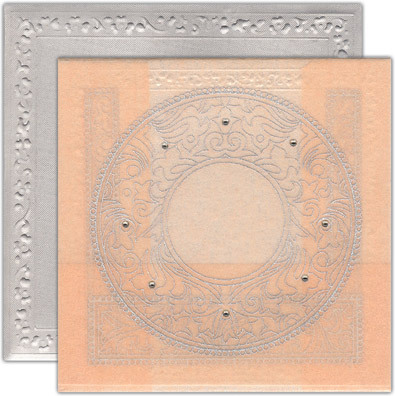 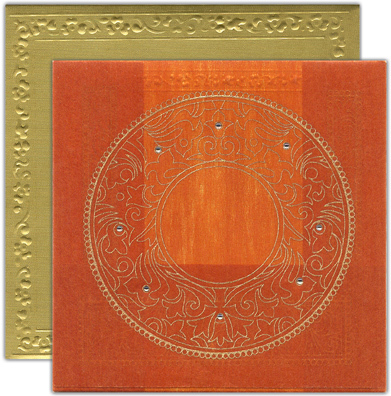 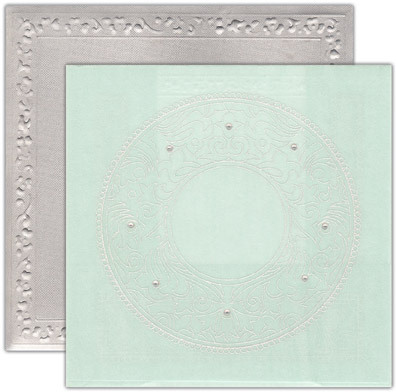 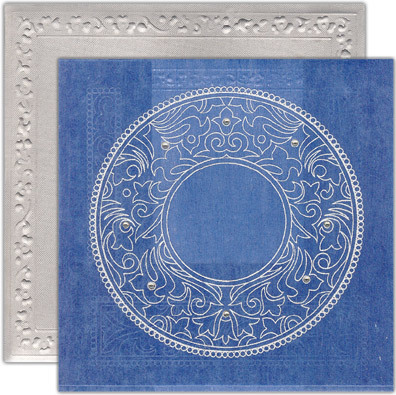 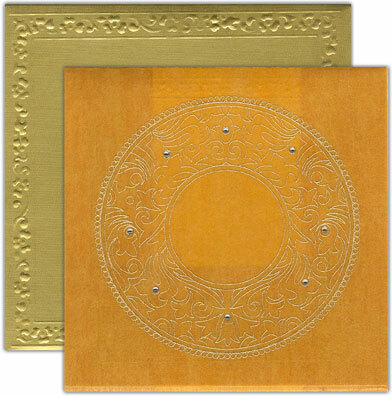 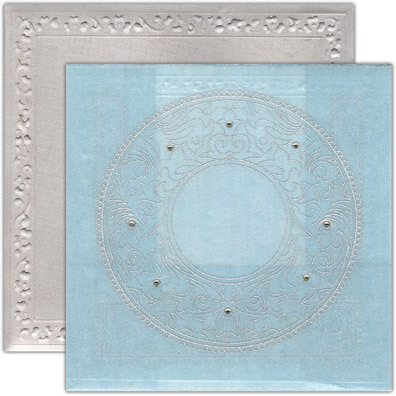 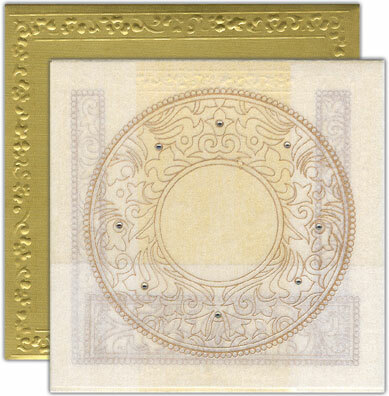 The front of this card has a big circular motif design in gold or silver with exquisite crystal work. 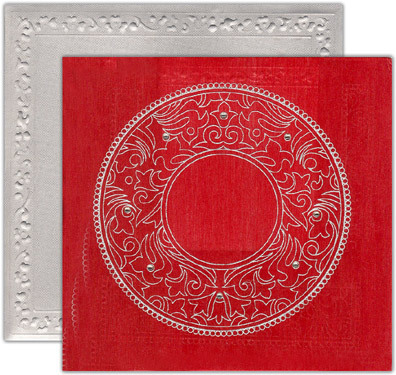 The other folds of the card have golden / silver borders; the inserts and envelope have self-embossed floral border. 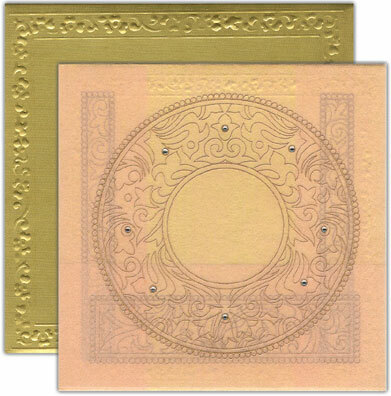 Monogram initials or a symbol can be printed on the front of the card in the circle space.